Photograph by Annie's Publishing. Used by permission. 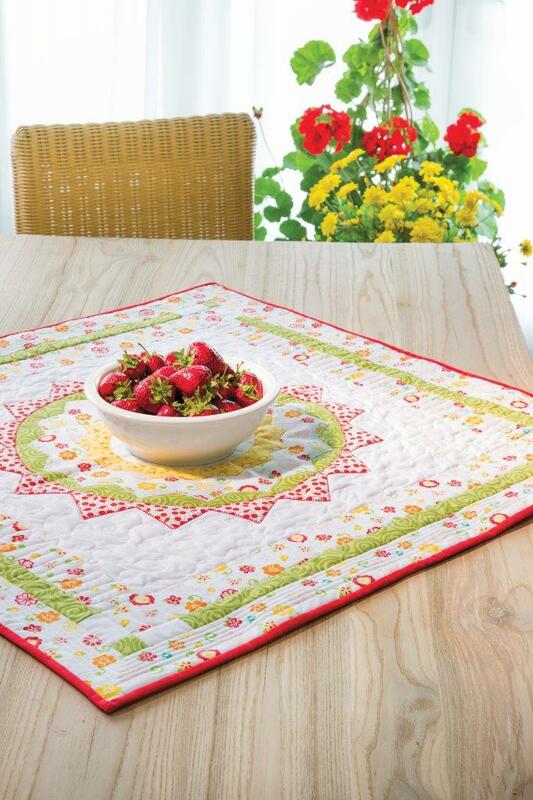 This is my latest pattern: Here Comes the Sun, published in Annie's Quilting "Precut Table Runners & Toppers" book. It is cheerful with bright colors, and the center is made using raw edge applique', so no need to sew circles. Here Comes the Sun measures 31" x 31". The middle of the center block is perfect for a vase or simple table centerpiece to emphasize the table topper design. 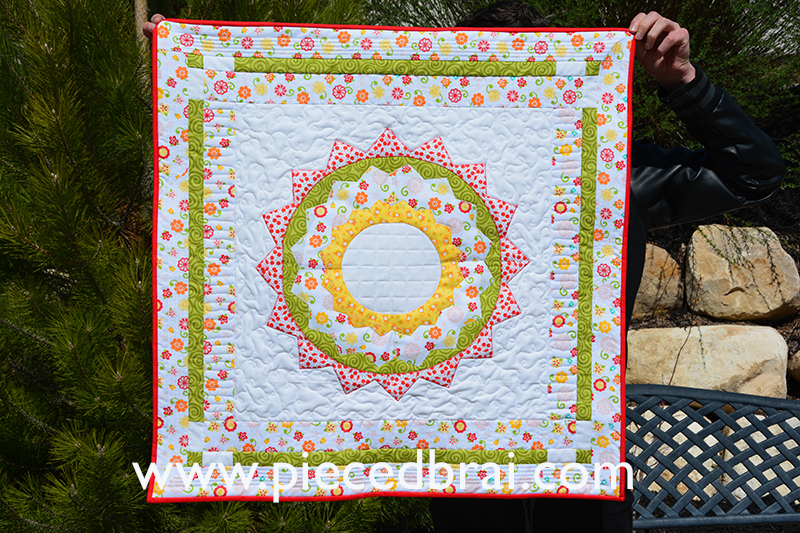 It was pieced and quilted using Aurifil 50wt white thread. Whatever fabrics you use, make sure they are happy and include lots of yellows in the prints. 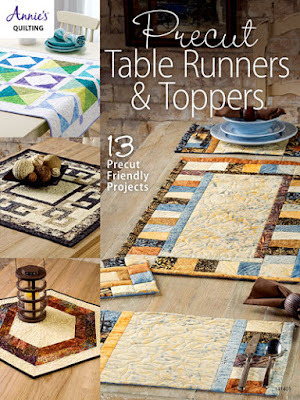 Table toppers and place mats are cool quilt projects because they can be made rather quickly, are very practical, and complement any home decor. Precut Table Runners & Toppers has 13 patterns for table toppers in different colorways. I am loving these patterns as they will come in handy when I need to whip up gifts for the holidays. Annie's Quilting series of books features all sorts of beginner and intermediary quilt projects which look complex but are easy to make. This particular issue also also has a great tutorial on raw-edge applique', making my project that much easier to complete. One more thing: I just found on their site a terrific resource - guides with free tutorials for seven crafts including quilting, knitting, and crochet. And here is a link to their current catalog with amazing patterns and books. You must check these out! Lovely quilt. I love these quilts that are fast although it doesn't seem to stop me from doing bigger, too involved quilts too. So pretty, Such a happy table topper. What a happy topper! Love the colors and pattern! !